NSTEMI is similar to STEMI in the symptoms a person suffers. NSTEMI is known to occur when minor coronary arteries are blocked or major arteries are blocked partially. The damage caused to the heart will be far less extensive!! 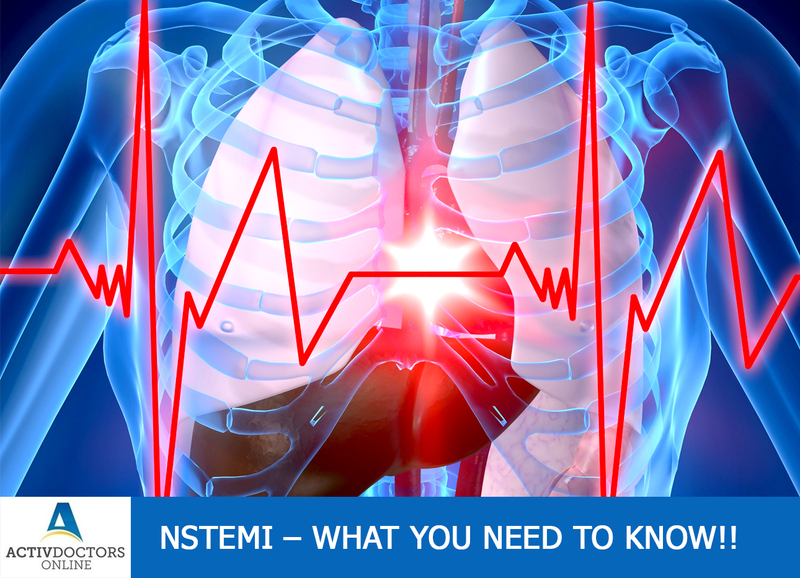 Life after NSTEMI – You can lead a normal life as earlier, with certain medications which has to be continued life long and regular follow up with your Cardiologist! Now you are aware of NSTEMI, be cautious and try to keep it bay and lead a healthy life! !